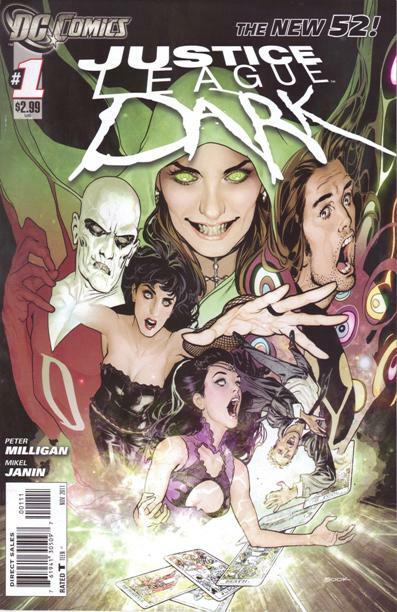 A lot can be said for the DC Comics New 52 reboot, and without re-hashing every bit of that for the umpteenth time, one single high note comes to mind. With so many #1 titles, with stories starting for the most part from scratch, it allows anyone to become a new reader, anyone to become a fan of something they weren’t a fan of before. 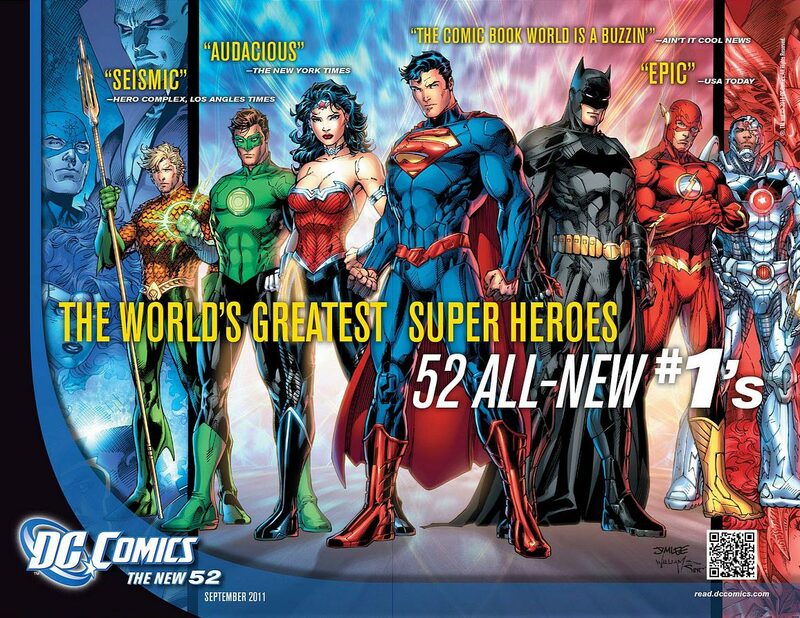 Oddly enough, when DC Comics said that they would have 52 titles, I actually believed them. I am glad they didn’t stick with that approach. 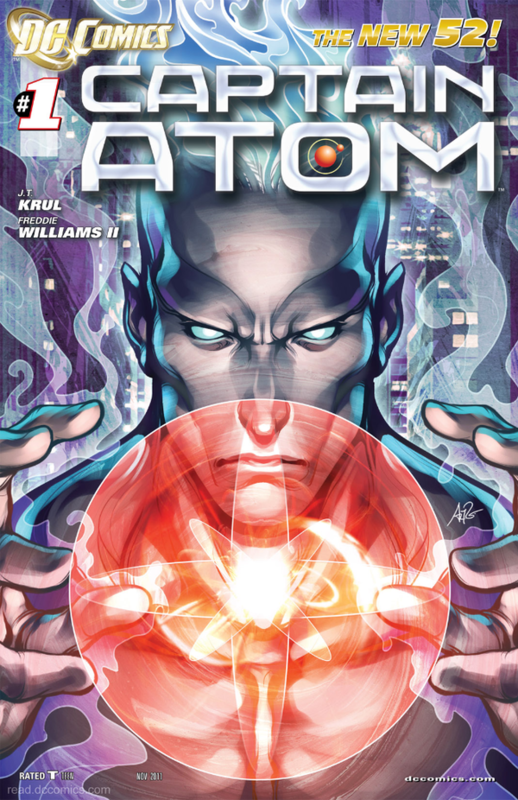 Several books have been layered into the New 52, some relevant, some not. Titles like Batman Incorporated and Huntress. Another title I was surprised to see was Smallville: Season 11. And I am surprised it is a good series adaptation. 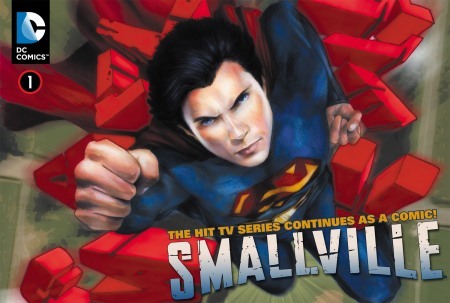 Smallville, the TV series, at its high point had millions of fans. Over its incredible ten-year run on the CW Network, it boasted both comic book fans and a mainstream audience. It never grabbed me, but once in a while I’d watch an episode and could see the appeal. As TV series are concerned, my preference was the earlier, slightly different but still similar Lois and Clark TV series. That series featured Teri Hatcher as Lois Lane and Dean Cain as Clark Kent, and–one big difference from Smallville–Clark donning the Superman suit and cape. Although I really liked Tom Welling in the remake of John Carpenter’s The Fog, it’s probably that distinction that kept me away from Smallville. Smallville: Season 11 gives fans of the TV series Tom Welling finally portraying Superman, in the suit, and continues the story of the characters where the series left off. This works like the Buffy the Vampire Slayer Season 8, etc. series–so long as every other panel is drawn to look like the actors who played the characters on TV, this can work. It actually works really well with Smallville Issue #1. Writer Brian Q. Miller knows the characters enough to make you feel like you’re watching the show, with snappy dialogue and a relevant story. He should, as he wrote for the TV series. 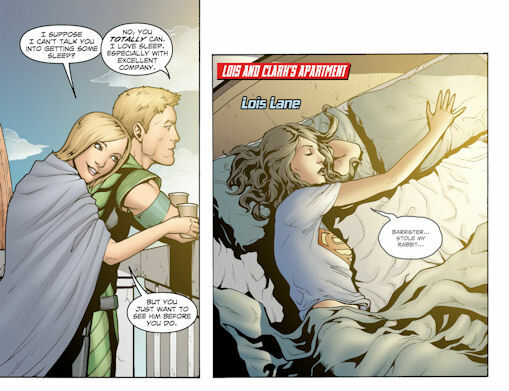 The banter between Clark and Lois is likely the best part of the first issue, with Lois as a particularly funny character. 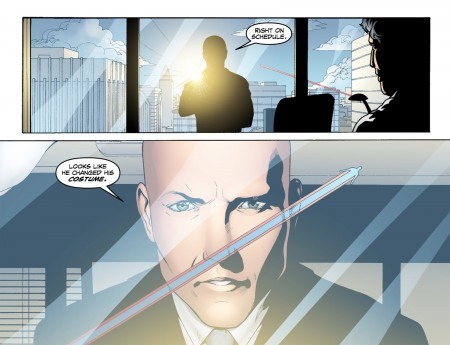 Pere Perez’s renderings aren’t picture perfect but he often nails the actors’ appearances and their roles, enough so that Smallville: Season 11 Issue #1 hits all its marks as you’d hope. 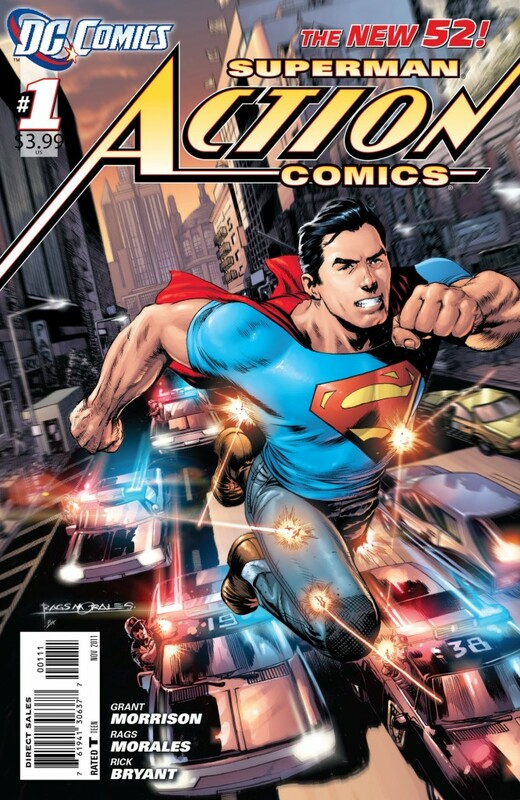 Perez gives readers several good splash pages of Welling as Superman. Better yet, Miller and Perez give a substantial part of the story to Oliver Queen/Green Arrow and his wife Chloe Sullivan-Queen. Here the differences between Smallville and the New 52 series are obvious, including the fact Oliver is married, confirming Smallville as a parallel universe story in the DCU. 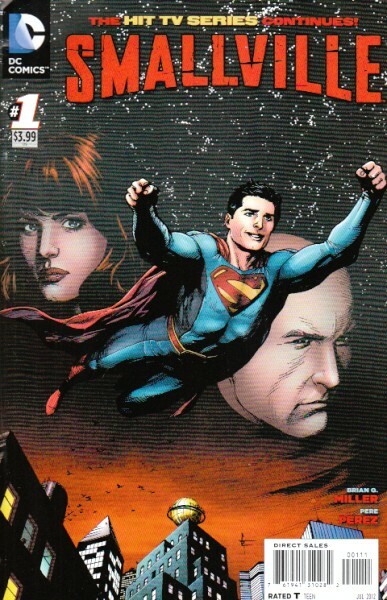 As much as I know diehard Superman fans love the current Action Comics series, by comparison I found Smallville: Season 11 Issue #1 more interesting than Action Comics Issue #1. 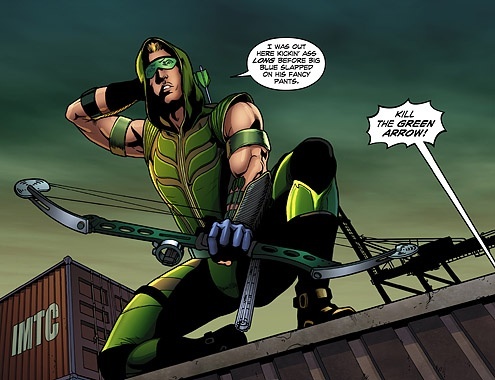 I was also surprised I prefer the Justin Hartley-influenced Green Arrow look, vibe, and story in Smallville to the current New 52 Green Arrow series. At a dense 33 pages, including an alternate cover image and recap of the TV series season 1, with Smallville: Season 11 you’ll for once feel like you got your money’s worth. 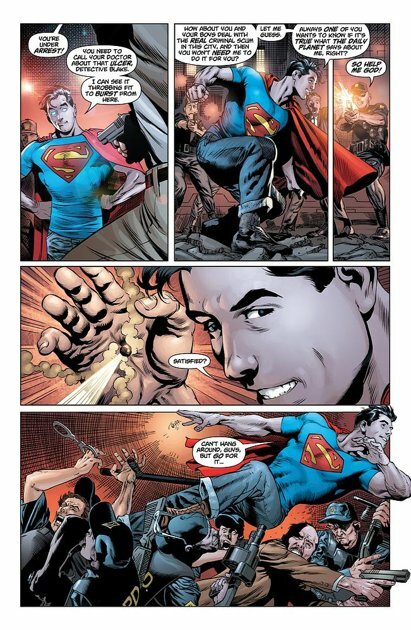 As much as I am a fan of Rags Morales’s art style, Grant Morrison’s reboot story of Superman in the flagship title Action Comics for the DCU is really pretty ho-hum, if not plain disjointed, and ultimately hits the floor with a thud. The excitement, energy, and portrayal of the great power of Superman of the past is non-existent here. 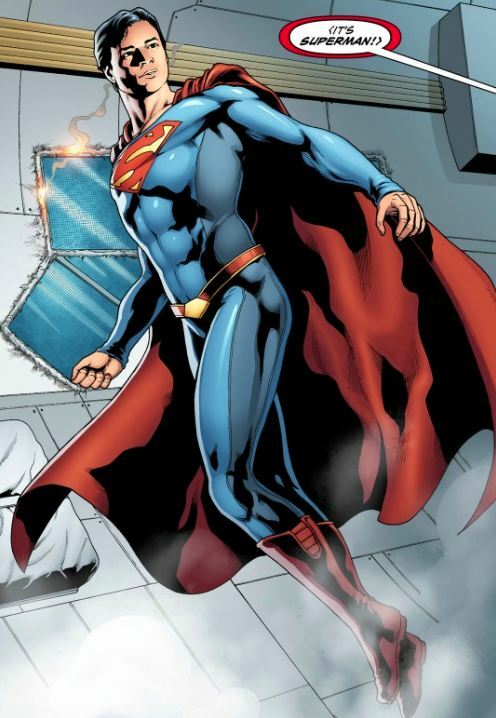 Much has been said about Superman’s new costume–shirt and cape are not all that different, but he is wearing jeans and no red boots–and ultimately that doesn’t matter. Morrison’s writing is just…odd. Even read by someone with an extensive vocabulary, from seeing the use of the archaic and out-of-place word “teetotal” on page one to a character named “Mrs. Nyxly,” you get the feeling that someone is putting us on here. A key story element about a problem with a train comes out of nowhere. Can this Superman see the future? Doesn’t seem to be what is happening here. There are just elements here that don’t jibe. And why does Superman have these strange gold, shining eyes? At first I thought this was meant to convey a Bizarro appearance, which could have been fun, but on re-read that’s not the case. In one scene Superman captures a baddie named “Glenmorgan” for using “illegal cheap labor, no safety standards” which echoes a bit of what we’d expect from a 1970s Green Arrow, so maybe this new Superman will be pursuing non-obvious villains down the road. But unfortunately we only get this in a singular image of the book. OK, I’ll say it. 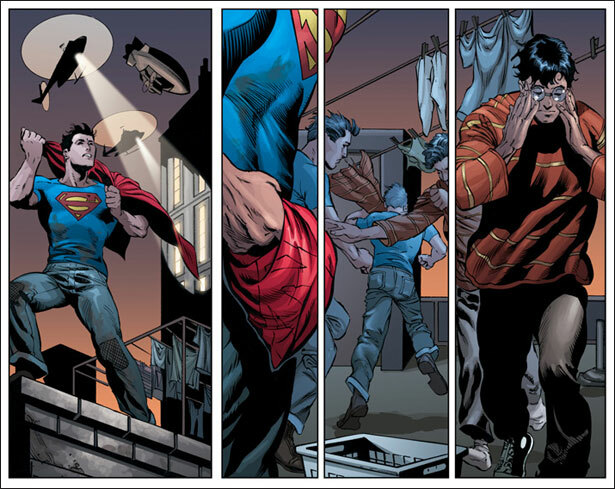 Superman with jeans and some form of brown dress shoe looks, well, just plain silly. What’s the point, and does it say anything about the character we care about? Wearing jeans makes him modern? Who in the USA in 2011 wears brown dress shoes with jeans rolled up at the cuff? There’s nothing cool about this look. Dorky, yes. Cool, no. The standard cast of Superman is here as well, evil-without-explanation Lex Luthor, goofy Jimmy at the paper and sassy looking Lois Lane. In this brief intro they appear as mere caricatures. Strangely enough the best parts of Action Comics #1 are four entire pages of entirely visual content with no words. The value in this first issue is Rags Morales’s renderings, not Morrison’s story. What appears to be happening here is a Smallville sequel, a boy of steel instead of a man of steel. Isn’t that what Superboy is for? 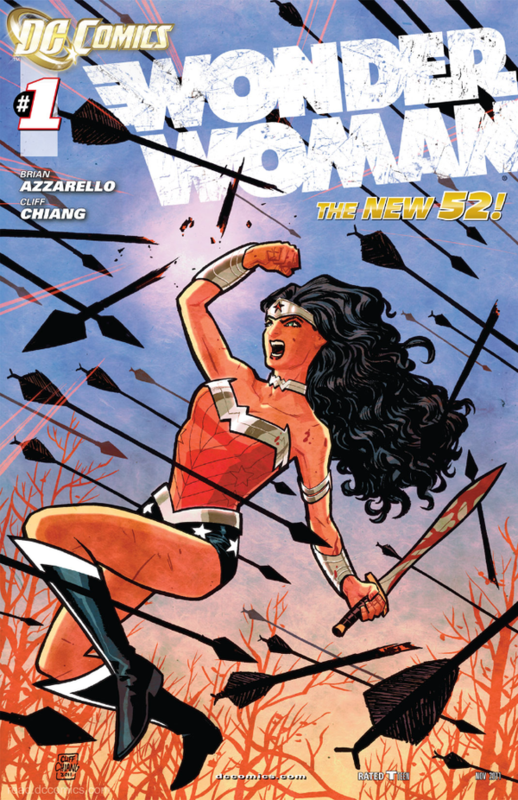 Stepping back from the story and art, other than Justice League, all the rest of the New 52 appears to be priced at $2.99. Inexplicably this is a $3.99 book. Unfortunately it doesn’t offer enough to keep anyone reading except maybe the diehard Superman loyalist. 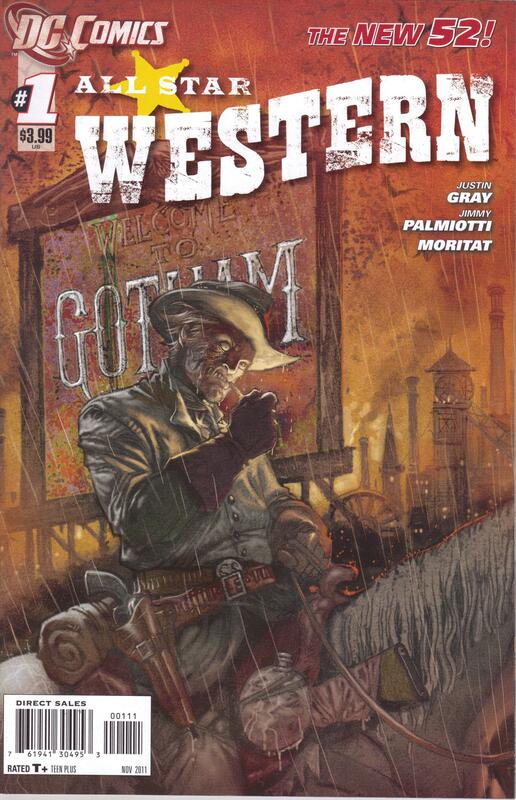 With all the solid books introduced this past month featuring Batman, other Justice League characters and the unexpectedly refreshing non-A list titles, this title won’t make the cut for anyone looking to end up with only a few titles for the long haul.